One would not expect to need to bushwhack to a waterfall in an urban area, but that is what you have to do to visit these 40-foot falls. Wyllys Falls is tucked at the end of a box canyon, and is only accessible by bushwhacking up from downstream. 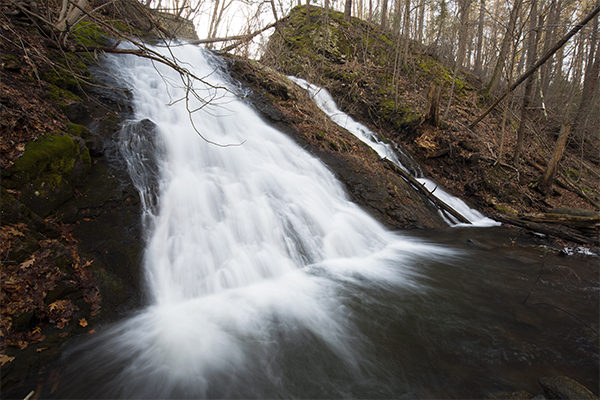 The falls are segmented, with the left side fanning out quite impressively. 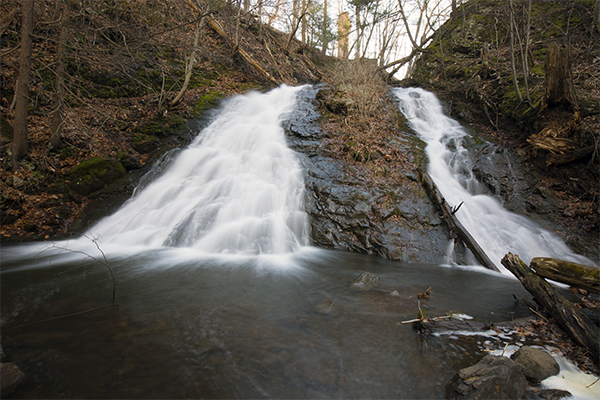 The right side of the falls, equal in height to the left side, is a slender horsetail. There is some evidence of mankind at the falls. You can see a smokestack and a stone wall above the falls, and there are chunks of cement that have either been dumped into the canyon from above or were strewn down over the falls during strong storms. 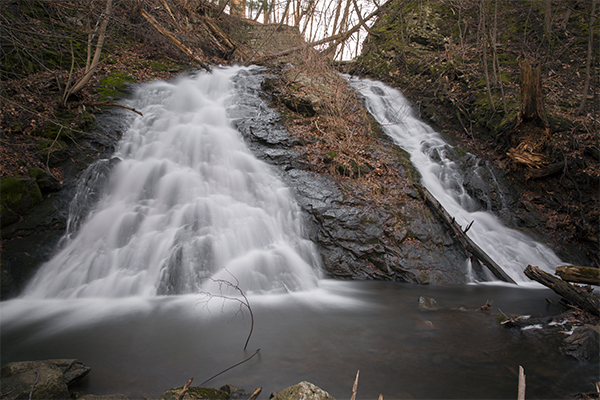 The falls are named after Ephraim Wyllys, a property owner of the land surrounding the falls at one time. The falls are also sometimes called Bridal Veil Falls.